What is surprising is that, 66 years later, the Chinese government still speaks about fighting poverty alleviation in Tibet. Perhaps, but there is another way to alleviate poverty. One of the surprises in the PLA list of 253 delegates to the 19th Congress opening today in Beijing, is the inclusion of the name of Maj Gen Thubten Thinley (土旦赤列 - Tu-dan Chi-lie). Who is General Thubten Thinley? He is a 56 year-old Tibetan, born in December, 1961 in Lhasa. 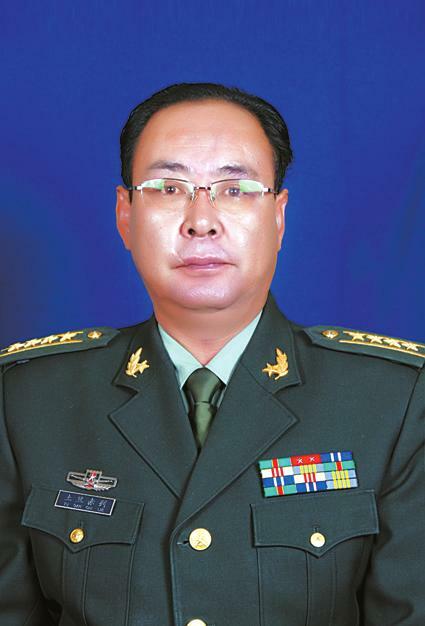 He is the senior most serving Tibetan officer with Maj Gen Ngawang Sonam who is posted in Qinghai. Thubten Thinley was admitted to the Communist Party in July, 1987 after spending three years in the lower ranks of the PLA. Prior to joining the military, he completed a four year university course and then did a couple of mid-career stints at the Central Party School in Beijing. Thubten Thinley entered the PLA through the back door rather than as a foot soldier. He joined as an educated historian and would-be journalist just out of college and then gravitated, step by step, in the direction of political propaganda, military recruitment and the promotion of military-civilian relations. It is here that his career is interesting: he has been specializing in military recruitment and the promotion of military-civilian relations. It means that his job is to recruit Tibetans in the PLA. It is part of the poverty alleviation program though not officially listed by the TAR government. For China, it makes sense to enroll more Tibetans in the PLA (it is said that there are already 10% of ‘ethnic’ Tibetans posted in the Tibet Military District of the Western Theater Command). How the Tibetans Diaspora will react to the new move, is not clear? The shift will probably be ignored, which not be healthy in the long run. For India, it means that the Indian Army will have to face more Tibetans in their future confrontations with the PLA. A question however remains: how ‘safe’ is it for China to have too many ‘ethnic’ jawans in the PLA. 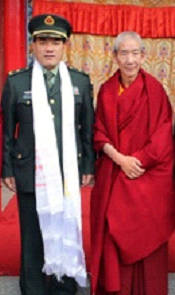 The selection of General Thubten Thinley is nonetheless a clear indication of the importance attached by Beijing to the 'poverty alleviation' program, via ‘local’ Army enrollment. Joined the Political Department of the PLA in Tibet where he edited a journal dealing with the Tibet Militia. His editorial status was equivalent to a full Platoon leader level. Continued with the same editorial team but his work status was raised to Deputy Company leader. Transferred and reassigned to the Secretarial Office of the Tibet PLA Political Department still at the Deputy Company leader level. Promoted to full Company work in the Secretarial Office of the PLA Political Department. Still in the PLA Political Department, transferred to its Masses Work Office keeping the same work status. Promoted to Deputy Battalion leader in Masses Work Office. Is Mr Xi the winner?